Since 2007 he has published 50 papers in peer-reviewed international journals, two book chapters and more than 80 contributions to international conferences. He acts as reviewer for most journals in the field of bone and biomechanics. He is member of the European Society of Biomechanics (2007), the Bone Research Society (2013), the European Calcified Tissue Society (2013), the Orthopaedic Research Society (2016) and the European Microscopy Society (2017). Laura Baumgartner graduated from the Swiss Federal Institute of Technology (ETH) in Zürich, Switzerland with a Bachelor in Human Movement Sciences and a Master in Biomechanics. After her studies, her first research experience was in the field of trauma biomechanics and accident reconstruction at the working group on accident mechanics (AGU) in Zürich, Switzerland. Besides developing expertise in accident reconstruction, she was involved in national projects to improve road traffic safety. She enjoyed the research aspects of this job, and so chose to continue her studies and extend her experience/expertise in injury-biomechanics from “macroscopic” trauma to microtrauma. In 2016, she was accepted as a PhD-student at the Research Group for Computational Biomechanics and Mechanobiology at the Universitat Pompeu Fabra (UPF), Barcelona, Spain. Her thesis work focuses on coupling biomechanics and mechanobiology to investigate microtrauma-processes within the human intervertebral disc at multiple length scales. M. Á. Ariza-Gracia received his M. Sc. in Mechanical Engineering (2013, Universidad de Zaragoza, Spain) and Biomedical Engineering (2014, Universidad de Zaragoza, Spain). He worked in the European Project: System Based on 3D plenoptic Imaging for Dynamic Topographical Corneal Characterization (PopCorn). 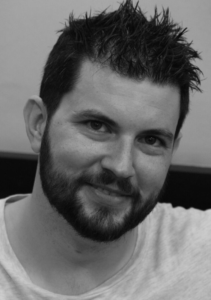 From 2014 to 2017, he was PhD candidate at the Aragón Institute of Engineering Research (i3A, Zaragoza, Spain), graduating in September 2017 with his thesis focusing on computational modelling of corneal biomechanics. During his predoctoral studies, he was visiting PhD at Politecnico di Milano and the Institute for Surgical Technology and Biomechanics (ISTB, Universität Bern, Switzerland). Currently, he is Marie Curie postdoctoral fellow at the ISTB. 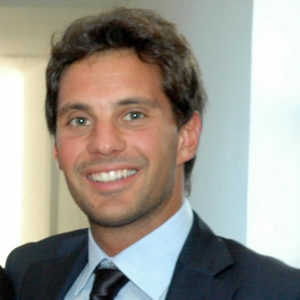 Edoardo Borgiani studied Biomedical Engineering at the University of Bologna, where he graduated as Master of Science in February 2015. After the defence of his master’s Thesis, he moved to Berlin to develop a PhD research-project at Julius Wolff Institute. Currently he is working in the field of the mechano-regulation of fracture healing in mice. By using computational models, he simulates the tissue formation inside the fracture gap to investigate the aging-related factors that compromise healing performance. He took part in the previous two ESB Conferences (Prague 2015, Lyon 2016) where he had the opportunity to promote his work with podium presentations, and looks forward to participating in the upcoming conference in Seville to show the progress of his research. Ehsan Soodmand completed his bachelor studies in Mechanical Engineering at Azad University of Ahvaz (Ahvaz, Iran). Prior to his master’s education, he worked in Oil & Gas industry for two years as a project engineer. He then performed his Masters studies in Biomedical Engineering at University of Malaya (Kuala Lumpur, Malaysia) on “Controlling of dynamic parameters of knee joint in transfemoral amputee gait”. Following his graduate studies, he began working as a research assistant at Technical university of Chemnitz, Germany (2013-2015) and during this period, he also carried out a research project at Biomechanics division of Mechanical engineering department at KU Leuven regarding the biomechanics of ankle joint. He continued his career as a research assistant at Rostock University of Medicine (2015-2017) in the field of orthopedic biomechanics. 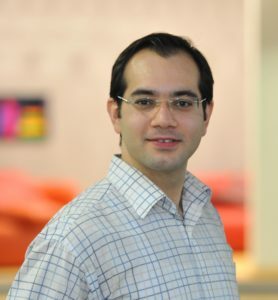 Since January 2017, Ehsan has been a PhD student at Julius Wolff Institute of Charité Universitaetsmedizin Berlin in Computational Mechanobiology group. For his PhD research, he is investigating the mechanically driven cellular self-organization and soft tissue patterning in bone defect healing using a combined in vitro and in silico approach. Ehsan has been a member of European Society of Biomechanics (ESB) since 2014. He participated in ESB2015 (Lyon, France), ESB2016 (Seville, Spain), and WCB-ESB2017 (Dublin, Ireland). After graduating in Biomedical Engineering (2008) with a thesis on the “Biomechanics of pass-kick in soccer”, he obtained the Master’s degree in Electronic Engineering from the Politecnico di Milano. In 2012, he was beneficiary of a grant in the research “Control system for an autonomous All-Terrain Vehicle” at the Department of Electronics and Information Technology (Polytechnic of Milan). 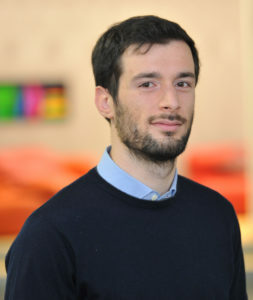 In January 2016 he graduated from the Morphological, Physiological and Sport Sciences PhD Program, University of Milan with a thesis entitled “Research methods in sports and clinical biomechanics.” After one year as a post-doc researcher in the Movement Analysis Laboratory of the University of Milan, Matteo moved back to Politecnico di Milano. His current research focuses on human motion analysis for sports and rehabilitation, coordination patterns, exercise physiology, wearable devices. He runs scientific collaborations with national and european institutions. He published more than 40 papers in international peer-reviewed journals, and he served as a certified Publons reviewer for Journals in the field of movement science, sports biomechanics and physiology. He is active in the techological transfer and scientific dissemination being author of several informative national articles. He is full member of the European Society of Biomechanics (2016) and of the International Society of Biomechanics in Sports (2015). 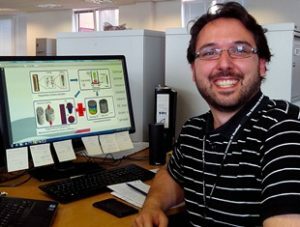 Gabriele Nasello is currently enrolled in a European Industrial Doctorate programme coordinated by University of Zaragoza (Spain) and Materialise (Leuven, Belgium) (CuraBone project). Gabriele obtained in 2014 a Bachelor’s degree in Mechanical Engineering from the University of Palermo (Italy). He continued his studies at Politecnico di Milano (Italy) completing in 2017 a M. Sc. in Biomedical Engineering. Throughout his studies Gabriele was driven by the willingness of maturating research experience as a Tissue Engineer. He moved to the United States where he joined as visiting researcher the Cardiovascular Engineering Laboratory at the McGowan Institute for Regenerative Medicine, University of Pittsburgh (USA), gaining experience in fabrication and structural characterization of engineered scaffolds for cardiovascular regeneration. 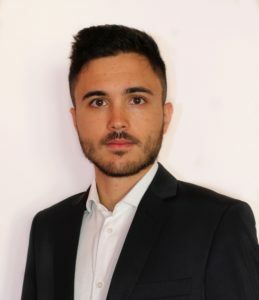 During the doctoral programme in Biomedical Engineering jointly supervised by academia and non-academic company, Gabriele is applying the principles of tissue engineering to the development of a new generation of patient-specific implants, with the implementation and the experimental validation of a bone regeneration computational models. Rodrigo Romarowski is a biomedical engineer graduated from Universidad Favaloro in Buenos Aires, Argentina. During his master’s degree, he worked in tissue regeneration on sheep cardiomyocites. After a short period at Emory University where he moved to computational biomechanics, he started his PhD in 2014 at the Computational Mechanics and Advanced Materials group at the University of Pavia. His research focused on expanding the use of numerical hemodynamics in the diseased aorta, so as to bring computational methods to the bedside. Before the completion of his PhD in 2017, he started working in close relationship with surgeons and clinicians at the Policlinico San Donato research hospital where he is now a fellow researcher. 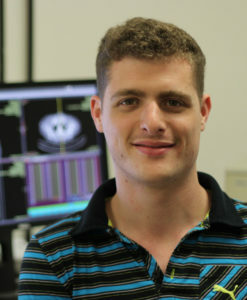 Rodrigo’s current work covers the application of computational tools for aortic disease, endovascular techniques and prosthesis design, carotid hemodynamics and congenital coronary malformations.